Conor McGregor recently resolved his cellphone smashing lawsuit in Miami, but he may soon have another legal issue on his hands. According to reports, McGregor is now under investigation in Dublin, Ireland after he allegedly punched a man in a pub this past weekend. Sources have confirmed the alleged victim told cops the fighter, back home after an extended stay in the US, punched him after a verbal exchange. These are just the latest allegations against McGregor in his homeland. He's reportedly facing a sexual assault case in Ireland as well. The 30-year old UFC superstar recently teased his return to the octagon, just days after he announced his "retirement" from the sport. 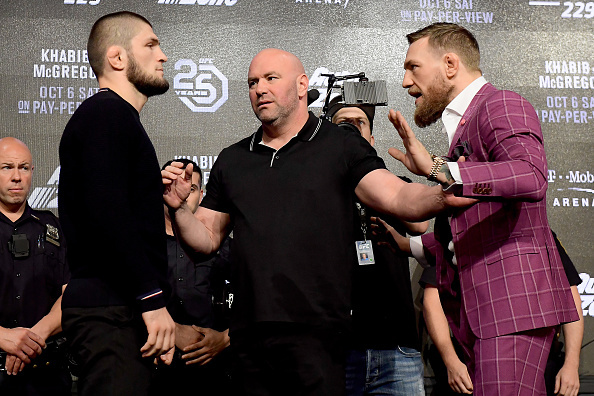 His ongoing social media feud with Khabib escalated to a point that UFC President Dana White was forced to intervene, but it remains to be seen if White will grant McGregor the rematch he so desperately craves.